Hanbin wanted to say something but was saying it in Korean and asked the translator to put the translation on the prompter, but it wasn't coming out fast enough so he kept complaining. It took so long that Jinhwan came out and interpreted for him haha. Hanbin: There is a problem. Hanbin: I can't speak Japanese. Bobby: I have an idea for the next tour. One of us can stay on stage and the other one can go. It'll be hard for the one person, but I think he'll be okay, and it's fine since the other person can rest. Before Double B started their MC, they were both sitting on the floor mumbling about how they needed a few minutes to rest lol. Then they counted down to three and leapt up and were energetic haha. During one of the MCs Hanbin was sitting on his knees like he was apologizing. Jinhwan: B.I are you apologizing?? Jinhwan: What are you doing?? You look like you're apologizing. During one of the MCs, Bobby was trying to explain that he's really happy but that he doesn't have the Japanese skills to express exactly how happy. Hanbin crept up behind him and was petting the short fuzzy hairs on the back of Bobby's head. Bobby: Jinhwan, do you have something you prepared for dome? Jinhwan: Actually I do have something. Cute expressions~ Guys, wanna do it together? 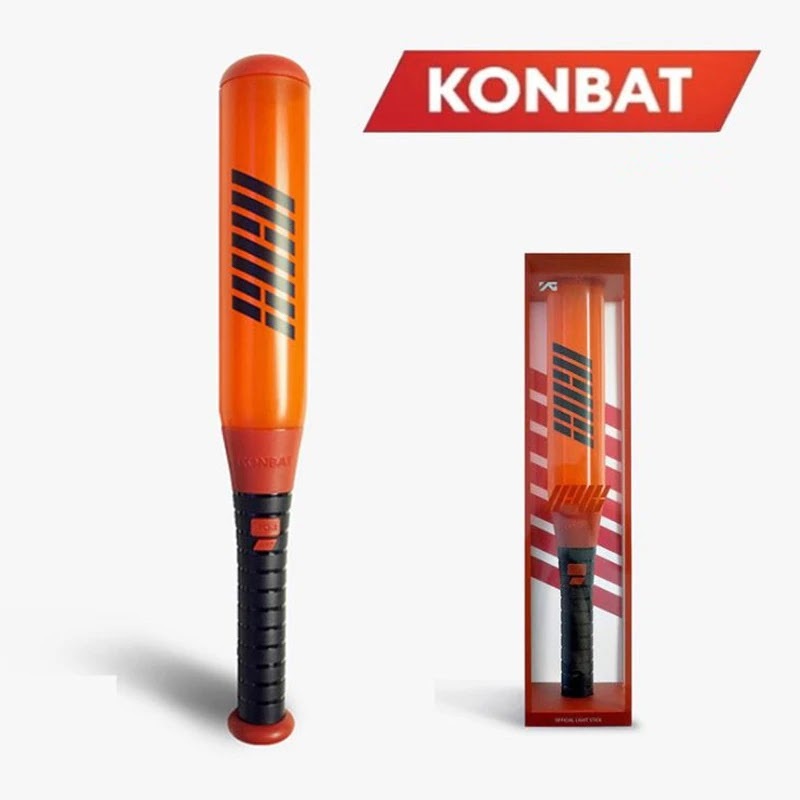 iKON: You prepared it so you do it. June: I also have something I prepared for dome. Power. There's something I do before every show: I exercise so get rid of all the alcohol in my body. To get fresh. Jinhwan: And how are you gonna show that? June: Huh? I just wanted to say it lol. Jinhwan: You could do push-ups. June: I did push-ups today. 100 times. These aren't normal push-ups. (gets into position) Everyone these push-ups will really help you. Then he showed us the push-ups from two angles, and Yunhyeong (I think) sat on him and he kept going haha. June: (stops) Anyway that's enough since I did them 100 times already today. Jinhwan: Bobby, do you have something prepared? Bobby: Yeah! I will drink this entire bottle of water in a matter of moments. Seriously super fast. Then Bobby drank the water in .02 seconds. The screen showed Hanbin with his mouth hanging open in disbelief, and the fans screamed so he looked, and he started laughing when he realized his expression.
? : B.I, show us something. Hanbin: I don't have anything. June: You have to show something because you just do whatever. June: What about boxing? You've been boxing lately. That's fine too, but you have to do something. June: Chanwoo you show something too!! You're also just doing whatever!! Chanwoo: Since it's dome I'll do an acrostic poem. Chanwoo: .....that's too long. Just Kyocera. Chanwoo: Thank you so much for coming today. June: Is the concert over??? I don't remember all of Chanwoo's acrostic poem (sorry), but he ended with the lalala part of Holup and chased Bobby around the stage. Then he did the failure gesture (June decided it would be cutely playing with your hair (idk how to explain but it's like tehe)). Jinhwan: Why didn't you save Chanwoo when he was failing with his thing??? Chanwoo? : When I sang lalala you should have danced. June: Wait what song is that? The lalala one?
? : Oh my god you're gonna make it awkward between you again!! June: Sorry I thought it was a Big Bang song. Jinhwan: Please remember the members' songs. Bobby: This is my favorite part of every concert. I already know Yunhyeong will fail, but the exciting part is seeing HOW he'll fail. June: Yeah!!! I also get really excited wondering how he'll fail this time. Yunhyeong ended up doing a prepared thing in Kansaiben (the dialect in Osaka) and shouted the last bit without the mic. Hanbin: I don't wanna be alone anymore. Chanwoo: Okay, I'll think about it. Do something to get me to pick you. Hanbin: I don't wanna do that either. Chanwoo: Fine, then I'll do it with Donghyuk. Donghyuk: Okay, we should change so he doesn't have to be alone. June: I think he should just be alone! June: Because life consists of doing things you don't wanna do. Donghyuk: All right, I've got it. Jinhwan, you do it, and Yunhyeong and B.I can be together. Jinhwan: Even if you do that I'm still not gonna do it. In the end Hanbin was the chick, and he brought the onesie out to the stage and changed there lol. During Best Friend, Chanwoo and Donghyuk were so cute... They kept backhugging, and once Chanwoo backhugged Donghyuk then lifted him up and spun in a circle haha. 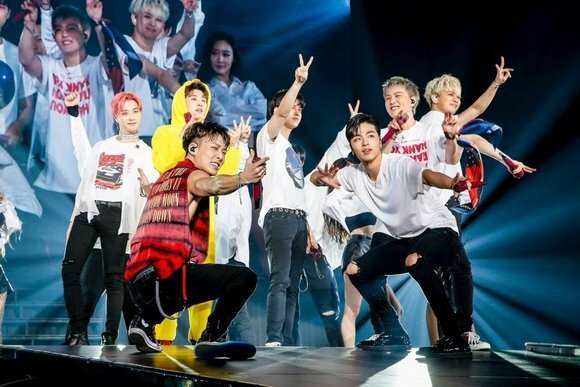 0 Response to "iKON at Kyocera Dome Tour Day 2 (iKON Japan Tour 2018)"